No wine or winery reviews this weekend. I have not been able to taste wine for the 8 or so days due to having the flu and not being able to smell has hampered any quality wine tasting. On top of this I have not really been inclined to wine tasting anyway. So what am I going to talk about this week. From the title you can see I want to share 2 things. 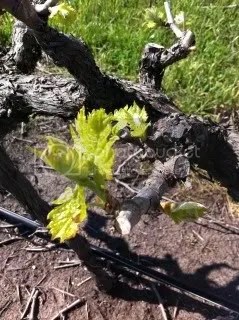 Driving around McLaren Vale today, I noticed that a few grape vines between Willunga and Sellicks Hill have the green shoots showing that the vines are starting to awaken from their winter sleep. The anticipation of the coming Vintage starts with Budburst! Why would I be talking about Christmas now? I attended a tasting last weekend with some friends from the DeadRed Wine Group (see Charlie’s comments about the tasting here) – I was not tasting so I started to discuss a yearly activity that will be happening in my household. The making of the Christmas Fruit Mince! How can making fruit mince be classified as something to talk about in a wine blog? I can hear this question coming over the social media waves. Well my fruit mince has a uniquely McLaren Vale wine feel to it. 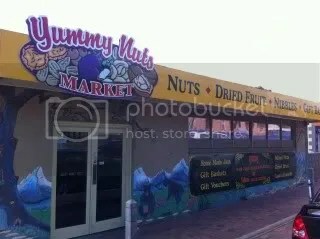 A local McLaren Vale store on the Main Street is called Yummy Nuts (an interesting name for a small business that provides all sorts of produce – check out their web site here). I am able to source a large selection of bulk dried fruits (mainly Australia produce) where I get a good hand full of each of the selections. Examples are apricots, pears, apples, currents, raisins, figs, cranberries, plums etc – you get the picture. In regards to figs, I find that a small amount adds to the complexity of the mix but too much is not good for the texture of the final mixture as the small seeds make the mince almost seem gritty. So keep the figs to a minimum. Then I also get a good amount, say 1.5 – 2 kg of some good South Australian Riverland dried Sultanas (also from Yummy Nuts). All of these fruits are placed into a dedicated plastic sealed container to which I add the McLaren Vale ingredient – Durus. Durus is sold from Middlebrook Estate and is a Comquot liqueur, sweetened with honey and fortified with brandy – check out my review of Middlebrook. A full 750mL bottle of Durus is added (less a shot for me while I do the adding). Some other fortified wines are added during the coming months – just any left overs of what I maybe drinking at the time, or a shot of the treacle like fluid that comes from my port barrel. The filled container is placed in the bottom of our fridge. Each week over the coming months the drunken fruit is removed from the fridge and is mixed to ensure all the fruit has the chance to soak up the lovely fluids. From time to time additions are made – either a fortified or a touch of good South Australian Brandy. As it gets closer to Christmas some mixed spice, cinnamon and freshly ground nutmeg (the fresh nutmeg makes a huge difference so I would recommend this) gets added to the mix. When it is time to make the mince, some fresh grated apple is added. I like to use some Granny Smith and Pink Lady apples – the crisp acid nature of these apples seem to give the mixture a lift. The final mixture is “minced” in the food processor. The mice is halved – one half used in my Xmas Pudding fruit base and half for the Fruit Mince Pies. The puddings are made in November and the mince Pies are made the day before being served (but they will last a while – something to do with a certain preservative that gets added). The McLaren Vale regionallity of the Fruit Mince Pies does not stop there. The pastry base is made with ground almonds – with almonds being another icon product from the region. Here I use ground almonds purchased from what I believe is the best regional farmers market around – the Willunga Farmers Market. This market is held every Saturday morning and is a wonderful experience just to wonder around and see what is on offer from a wide range of fresh local produce – and the produce is just fantastic. Do yourself a favor and check out this market, even if it is just for the experience. Using a food processor mix the dry ingredients and add the butter 1 cube at a time and process until crumbly then add the egg mixture. Form the mixture into a ball, wrap in plastic wrap and refrigerate for about half an hour. Take a small amount of the chilled pastry and form into the holes of a non-stick small muffin pan – then add a small amount of of the fruit mince. Cook in a pre-heated oven at 180 degrees Celsius for about 15 minutes. You need to keep a close one on them when in the oven – they are easy to burn. Take note that the pastry is soft when it first comes out of the oven so you need to let them cool slightly before placing on a tray. If you can stop them being eaten straight away, then place the cooled pies into a sealed container. If you give this recipe a try, then please let me know how it goes. This entry was posted in Mclaren Vale, wine and tagged Australia, Granny Smith, liqueur, Mclaren Vale, McLaren Vale Wine, South Australia, Willunga, Willunga South Australia, wine. Bookmark the permalink. Hi my name is Shane and welcome to the Lonely Grape a wine blog about the wineries & wines of Mclaren Vale. If you want to know anything about Mclaren Vale I will do my best to find out - so leave me a comment.